There are a few ways to pick apart Leeds United’s defeat at West Brom but the game and the result underlined what most of us have been saying for a while: that no-one will run away with the Championship this season. West Brom could bask in the glow of a 4-1 win if they wanted to but like me they’ll remember very clearly the hiding they took from Derby County a few weeks earlier. And if Derby want to start shouting the odds, we can all hark back to the pasting they took from Leeds back in August. It’s a weird triangle of identical scorelines. West Bromwich Albion's Dwight Gayle (centre) scores his side's fourth goal against Leeds United. Trying to spot a pattern is impossible, unless you draw the conclusion that promotion is 100 per cent up for grabs. By this stage of last season it was pretty obvious that Wolves were a class apart and that they had players in their squad who other clubs would kill for. Already it was hard to see how they would come up short in May. There’s simply nothing like them this time and it seems that while the very highest level of quality in the league, a benchmark set by Nuno and Wolves, has fallen, the field as a whole has improved. It’s wildly competitive and the hammering Leeds got at West Brom – a result out of nowhere, it has to be said – summed the division up perfectly. We’ve got Norwich City two points clear at the top of it and that, to me, is something of a mystery. For the best part of a year I’ve been struggling to see exactly what Daniel Farke has been doing there but all of a sudden they’re on a roll, they’ve got chemistry in their team and they’re the club to catch (although given that the lead in the Championship has changed hands 15 times already, they shouldn’t be counting their chickens). As for Leeds, they’ll be stewing on their performance at West Brom, and the performance more than the result, I feel. The quality of West Brom’s squad means that games against them can get out of hand quickly when they get on a roll but last Saturday is probably the first time I’ve seen Leeds under Bielsa play so willingly into the opposition’s hands. It went wrong on the pitch at the Hawthorns rather than in the dug-out. But if you look at other results across the league, I don’t think it’s any cause for panic. West Brom have a lot of pace and power and they’re liable to dominate when they play well – you only have to look at their goals-for tally to see that – but by far the biggest factor at the Hawthorns last weekend was the number of times Leeds presented them with possession in positions where West Brom were waiting to counter-attack. I know Bielsa is a ‘plan A’ man and I’d commend him for the way he’s consistently stuck to his guns so far but it was odd seeing Leeds make the same error so many times without anyone stepping into either correct it or tweak the tactics. You could see early on that West Brom were trying to stop Leeds play out and looking for turnovers to punish around the halfway line. Personally I felt Leeds were lucky to go in at half-time with the game goalless. 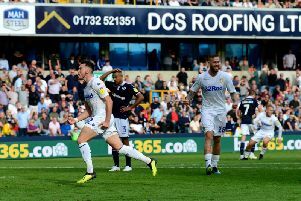 The passing was sluggish and there was a warning of what happens when the likes of Pablo Hernandez and Kemar Roofe aren’t at the races. When those two are ineffective, Leeds need to find another way or breaking through the opposition and that’s clearly going to be a bit of an issue when players so influential drop off. That problem reared its head when both of them were suffering from injury in September. In that period the flamboyance we saw from Leeds in August dipped fairly noticeably. In fairness to Bielsa’s players, West Brom might simply have been an off day. It wasn’t as if previous results or performances were warning of a hammering in the post and sometimes there’s no proper explanation for why things go wrong. I felt it myself when I played. There were occasions when you felt ultra-sharp, as if everything you touched was turning to gold. Then were others when, for no apparent reason, you felt sluggish and flat and everything went wrong. All you can do is you put the game behind you and move on. Something tells me Bielsa won’t be so complacent. He doesn’t seem like the sort of coach who would sit through a 4-1 defeat and simply say ‘never mind’. When he watches the footage back – and I’m sure he’s been through it all already – he’ll take issue with the quality of the distribution, the accuracy of Leeds’ final ball and some of their positioning for the goals they conceded. 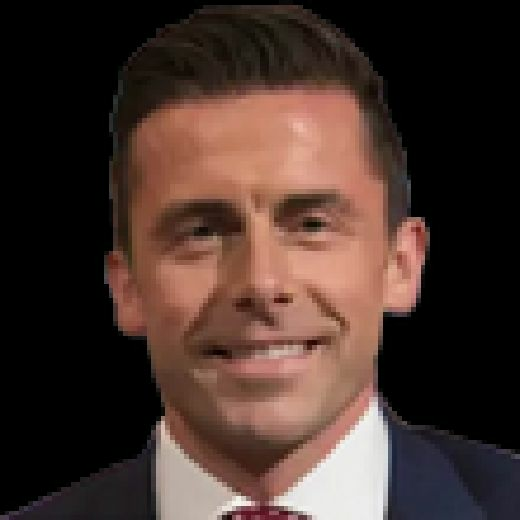 He’ll also know that without the error from Bailey Peacock-Farrell for West Brom’s second, the game would have been in the balance for longer. What I found revealing afterwards was the extent to which he had looked into West Brom’s style of play. Bielsa can give you the impression that he thinks far less about the opposition than he does about his own tactics but it was clear that he’d identified the fact that West Brom would rely on counter-attacks. For that reason you’d assume that Leeds were adequately prepared and when it came to it, the team fell short. I’ve noticed on a few occasions now that Bielsa’s tendency after defeats is to blame himself. It’s an admirable stance and I like a manager who takes proper responsibility but I’m not sure the defeat at West Brom can be pinned on him. Players have to stand up and take a share of the blame too and for me, it went wrong on the pitch at the Hawthorns rather than in the dug-out. But if you look at other results across the league, I don’t think it’s any cause for panic.